Item Name D L D1 L1 HSK-A 63 WN06 065 6.3G 20000 SL Weldon Type Holder (Balanced to G 6.3 20000 RPM) (DIN 6359) &nbs.. Item Name D L D1 L1 HSK-A 63 WN06 100 2.5G25000 SL Weldon Type Holder (Balanced to G 2.5 25000 RPM) (DIN 6359) .. Item Name D L D1 L1 HSK-A 63 WN06 100 6.3G 20000 SL Weldon Type Holder (Balanced to G 6.3 20000 RPM) (DIN 6359) &nbs.. Item Name D L D1 L1 HSK-A 63 WN06 160 6.3G 20000 SL Weldon Type Holder (Balanced to G 6.3 20000 RPM) (DIN 6359) &nbs.. Item Name D L D1 L1 HSK-A 63 WN08 065 6.3G 20000 SL Weldon Type Holder (Balanced to G 6.3 20000 RPM) (DIN 6359) &nbs.. 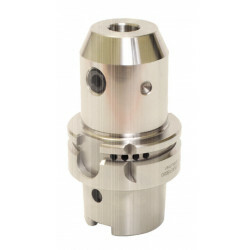 Item Name D L D1 L1 HSK-A 63 WN08 100 2.5G25000 SL Weldon Type Holder (Balanced to G 2.5 25000 RPM) (DIN 6359) .. Item Name D L D1 L1 HSK-A 63 WN08 100 6.3G 20000 SL Weldon Type Holder (Balanced to G 6.3 20000 RPM) (DIN 6359) &nbs.. Item Name D L D1 L1 HSK-A 63 WN08 160 6.3G 20000 SL Weldon Type Holder (Balanced to G 6.3 20000 RPM) (DIN 6359) &nbs.. Item Name D L D1 L1 HSK-A 63 WN10 065 6.3G 20000 SL Weldon Type Holder (Balanced to G 6.3 20000 RPM) (DIN 6359) .. Item Name D L D1 L1 HSK-A 63 WN10 100 2.5G25000 SL Weldon Type Holder (Balanced to G 2.5 25000 RPM) (DIN 6359) .. Item Name D L D1 L1 HSK-A 63 WN10 100 6.3G 20000 SL Weldon Type Holder (Balanced to G 6.3 20000 RPM) (DIN 6359) .. Item Name D L D1 L1 HSK-A 63 WN10 160 6.3G 20000 SL Weldon Type Holder (Balanced to G 6.3 20000 RPM) (DIN 6359) &nbs.. Item Name D L D1 L1 HSK-A 63 WN12 080 6.3G 20000 SL Weldon Type Holder (Balanced to G 6.3 20000 RPM) (DIN 6359) &nbs.. Item Name D L D1 L1 HSK-A 63 WN12 100 2.5G25000 SL Weldon Type Holder (Balanced to G 2.5 25000 RPM) (DIN 6359) .. Item Name D L D1 L1 HSK-A 63 WN12 100 6.3G 20000 SL Weldon Type Holder (Balanced to G 6.3 20000 RPM) (DIN 6359) &nbs.. Item Name D L D1 L1 HSK-A 63 WN12 160 6.3G 20000 SL Weldon Type Holder (Balanced to G 6.3 20000 RPM) (DIN 6359) &nbs.. Item Name D L D1 L1 HSK-A 63 WN14 080 6.3G 20000 SL Weldon Type Holder (Balanced to G 6.3 20000 RPM) (DIN 6359) &nbs.. Item Name D L D1 L1 HSK-A 63 WN14 100 2.5G25000 SL Weldon Type Holder (Balanced to G 2.5 25000 RPM) (DIN 6359) .. Item Name D L D1 L1 HSK-A 63 WN14 100 6.3G 20000 SL Weldon Type Holder (Balanced to G 6.3 20000 RPM) (DIN 6359) &nbs.. Item Name D L D1 L1 HSK-A 63 WN14 160 6.3G 20000 SL Weldon Type Holder (Balanced to G 6.3 20000 RPM) (DIN 6359) &nbs.. Item Name D L D1 L1 HSK-A 63 WN16 080 6.3G 20000 SL Weldon Type Holder (Balanced to G 6.3 20000 RPM) (DIN 6359) &nbs.. Item Name D L D1 L1 HSK-A 63 WN16 100 2.5G25000 SL Weldon Type Holder (Balanced to G 6.3 20000 RPM) (DIN 6359) .. Item Name D L D1 L1 HSK-A 63 WN16 100 6.3G 20000 SL Weldon Type Holder (Balanced to G 6.3 20000 RPM) (DIN 6359) &nbs.. Item Name D L D1 L1 HSK-A 63 WN16 160 6.3G 20000 SL Weldon Type Holder (Balanced to G 6.3 20000 RPM) (DIN 6359) &nbs.. Item Name D L D1 L1 HSK-A 63 WN18 080 6.3G 20000 SL Weldon Type Holder (Balanced to G 6.3 20000 RPM) (DIN 6359) &nbs.. Item Name D L D1 L1 HSK-A 63 WN18 100 2.5G25000 SL Weldon Type Holder (Balanced to G 2.5 25000 RPM) (DIN 6359) .. Item Name D L D1 L1 HSK-A 63 WN18 100 6.3G 20000 SL Weldon Type Holder (Balanced to G 6.3 20000 RPM) (DIN 6359) &nbs.. Item Name D L D1 L1 HSK-A 63 WN18 160 6.3G 20000 SL Weldon Type Holder (Balanced to G 6.3 20000 RPM) (DIN 6359) &nbs.. Item Name D L D1 L1 HSK-A 63 WN20 080 6.3G 20000 SL Weldon Type Holder (Balanced to G 6.3 20000 RPM) (DIN 6359) &nbs.. Item Name D L D1 L1 HSK-A 63 WN20 100 2.5G25000 SL Weldon Type Holder (Balanced to G 2.5 25000 RPM) (DIN 6359) .. Item Name D L D1 L1 HSK-A 63 WN20 100 6.3G 20000 SL Weldon Type Holder (Balanced to G 6.3 20000 RPM) (DIN 6359) &nbs.. Item Name D L D1 L1 HSK-A 63 WN20 160 6.3G 20000 SL Weldon Type Holder (Balanced to G 6.3 20000 RPM) (DIN 6359) &nbs.. Item Name D L D1 L1 HSK-A 63 WN25 110 6.3G 20000 SL Weldon Type Holder (Balanced to G 6.3 20000 RPM) (DIN 6359) &nbs.. Item Name D L D1 L1 HSK-A 63 WN25 160 6.3G 20000 SL Weldon Type Holder (Balanced to G 6.3 20000 RPM) (DIN 6359) &nbs.. Item Name D L D1 L1 HSK-A 63 WN32 110 6.3G 20000 SL Weldon Type Holder (Balanced to G 6.3 20000 RPM) (DIN 6359) &nbs.. Item Name D L D1 L1 HSK-A 63 WN32 160 6.3G 20000 SL Weldon Type Holder (Balanced to G 6.3 20000 RPM) (DIN 6359) &nbs.. Item Name D L D1 L1 HSK-A 63 WN40 125 6.3G 20000 SL Weldon Type Holder (Balanced to G 6.3 20000 RPM) (DIN 6359) &nbs.. Item Name D L D1 L1 HSK-A 63 WN40 160 6.3G 20000 SL Weldon Type Holder (Balanced to G 6.3 20000 RPM) (DIN 6359) &nbs..
What is HSK A-63 Weldon Type Holder? Where can I buy HSK A-63 Weldon Type Holder Online?